Green SoCal: What's Swedish For Green? The answer is IKEA of course! Those big box yellow and blue suburban home furnishing stores are doing what they can to instill environmental values into everything they do. Some lament that the super retailer has displaced local furniture stores around the world and there is also the little fact that founder Ingvar Kamprad was a member of the far-right fascist political group New Swedish Movement as a teen until 1948. But I tend to look at the positives. And IKEA has come a long way in terms of treating employees with respect, community involvement and of course being a steward of the environment. Here are a couple of pictures I snapped from the College Park, Maryland location on a recent trip. More recently, IKEA has stopped providing plastic bags to customers, but offers reusable bags for sale. The IKEA restaurants also only offer reusable plates, knives, forks, spoons, etc. Toilets in some IKEA restrooms have been outfitted with dual-function flushers. 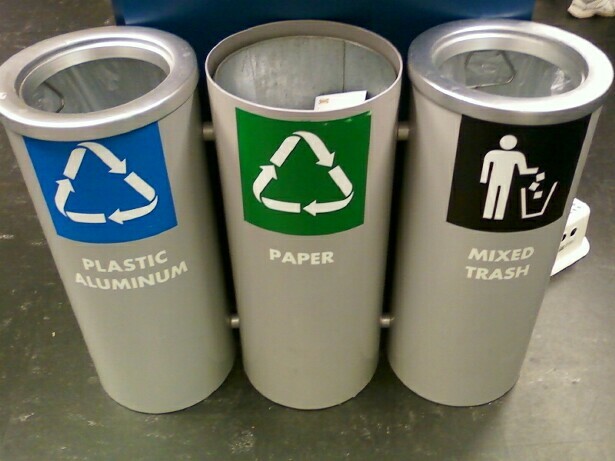 IKEA has recycling bins for compact fluorescent lamps (CFLs), energy saving bulbs, and batteries. In 2001 IKEA was one of the first companies to operate its own cross-border freight trains through several countries in Europe. In August 2008, IKEA also announced that it had created IKEA GreenTech, a €50 million venture capital fund. Located in Lund (a college town in Sweden), it will invest in 8–10 companies in the coming five years with focus on solar panels, alternative light sources, product materials, energy efficiency, and water saving and purification. 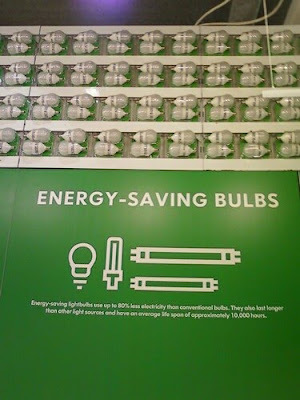 The aim is to commercialise green technologies for sale in IKEA stores within 3–4 years.